until now, there wasn't a way to decompile any texture files (.xbt) without the notepad ++ plugin. based on this, there was also a graphical user interface missing for texturepacker, so i came to the decision to code the "Kodi - Texture Tool" that will support both features included with a GUI. the tool is based on tiben20's command line extractor and Texturepacker, that only support cli. If you're using Version 2.5.4 and above you will get further updates automatically by starting the tool. Dev Mode is now available by using Shift+alt+d. 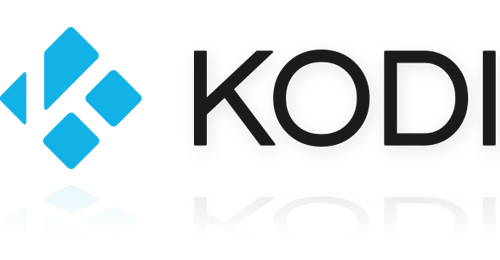 For more Informations check the Kodi Wiki Article here! - checking vcredist via 2 system dlls. Works perfectly for me, thanks! I was using the Notepad++ extractor but I found it a little temperamental on occasion. you know that nearly every single skin out there can be found unpacked? except some commercial ones i guess but we don't host/provide those. sure i know that but in my case there were backgrounds in the textures.xbt media subfolder and i wanted to change them with personal one. hi. tested ur app & my designated folder popped up at the end of the process, but nothing extracted. any ideas? seems to be an issue with the file then, can you upload me the file somewhere that i can give it a try in debug mode? (2014-08-12, 10:58)e0xify Wrote: seems to be an issue with the file then, can you upload me the file somewhere that i can give it a try in debug mode? dont kno how to upload on forum here. i tested 3 random xbt files, but no extraction. i used random xbt files from MQ5 media case tread to test out ur app. took the textures.xbt of the latest Aeon MQ5 version and no problems with extracting. copy textures.xbt to desktop as source and create a new destination folder and give this a try please. anyone else with those issues, yet? (2014-08-12, 16:06)e0xify Wrote: took the textures.xbt of the latest Aeon MQ5 version and no problems with extracting. tried what u suggested, but still no extraction. this should be an easy& simple process tho. but it doesn't work for me. Great tool, but unfortunately it only partially worked for me. Had to use the command line to create a fully working .xbt file. It seems that the CLI of Texturepacker isn't supporting any spaces in directory or folders like "new folder" so i coded a query for crosschecking the selected folder.